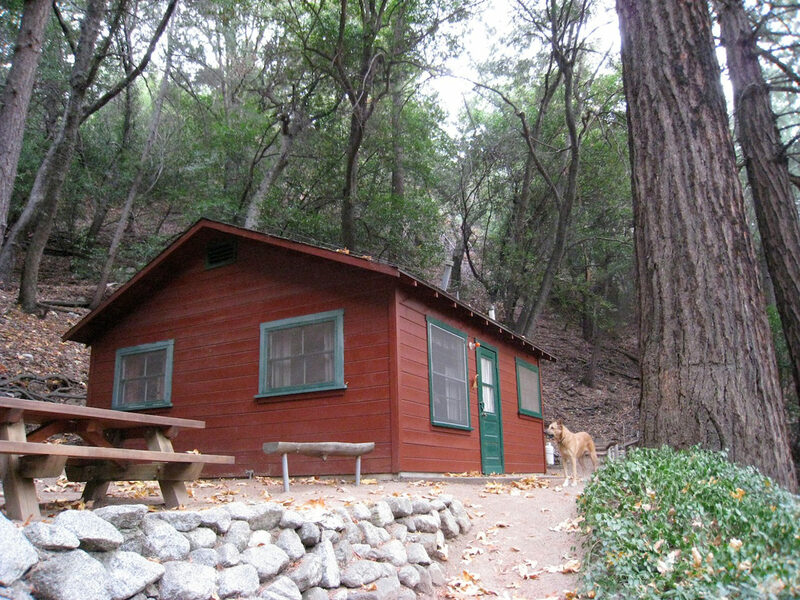 The Retreat Cabin at Sturtevant Camp is a product of the construction period that followed the purchase of the camp by a Methodist church association in 1945. 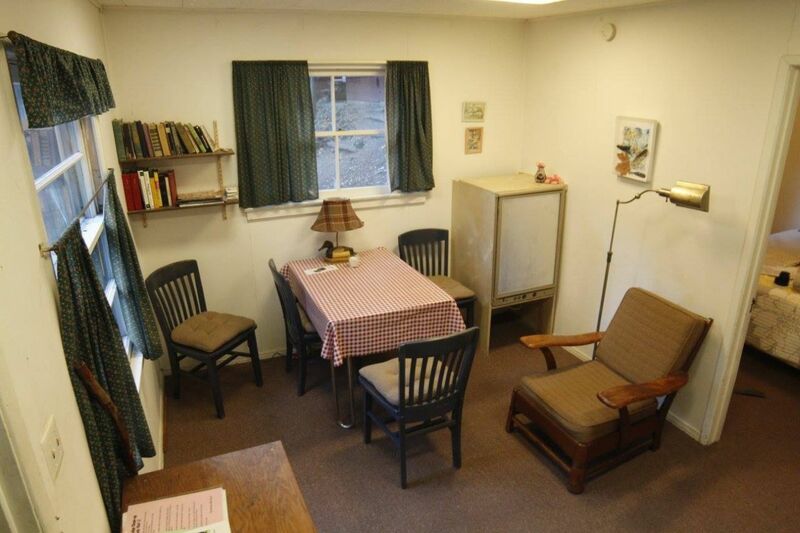 It originally had on open floor plan like the Guest Cabins. 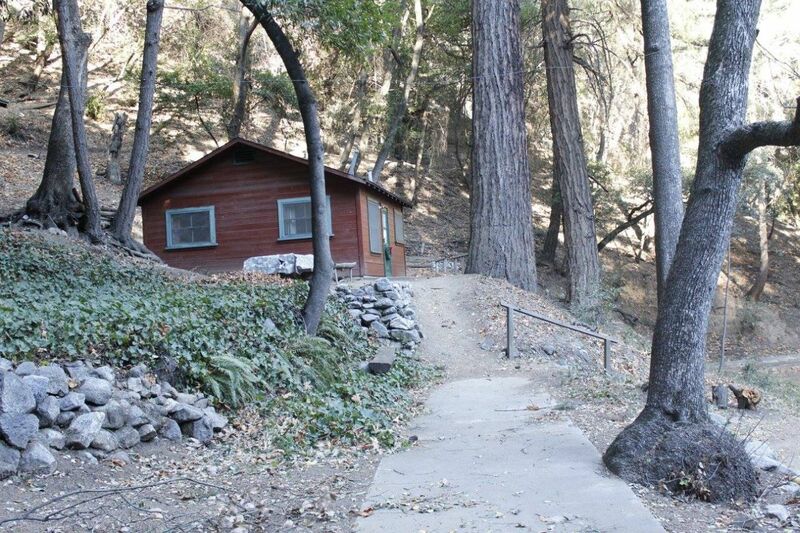 Shortly after construction it was modified to be a nursing facility for the many youth groups that frequented Sturtevant Camp. 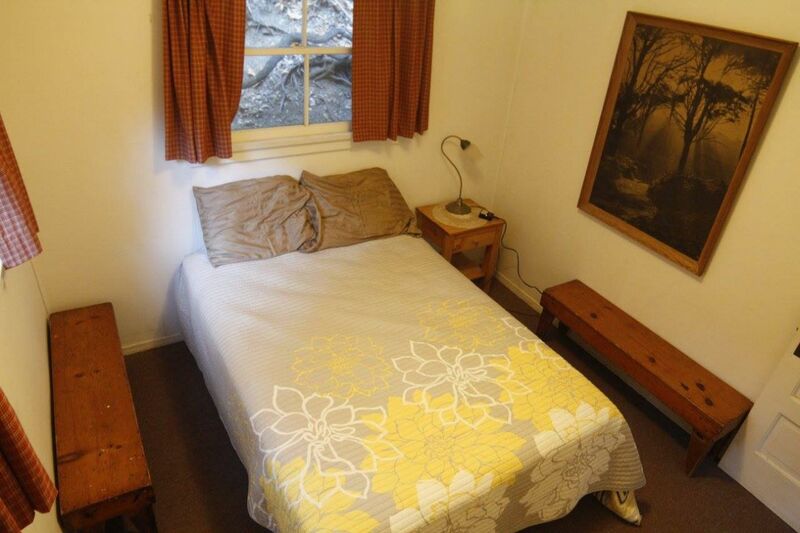 The building was called the “Health Lodge” and the attending nurse slept in the room that now has the double bed. 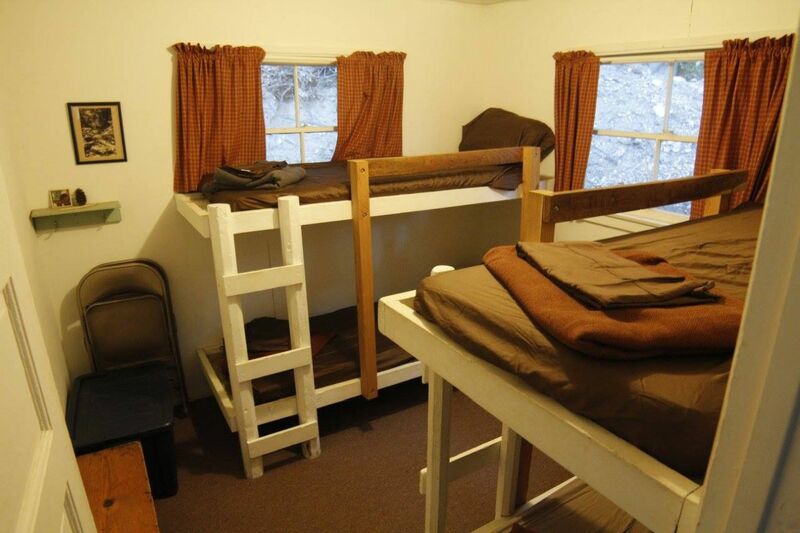 Today the Retreat Cabin makes for an experience more cozy than the bunkhouse cabins. 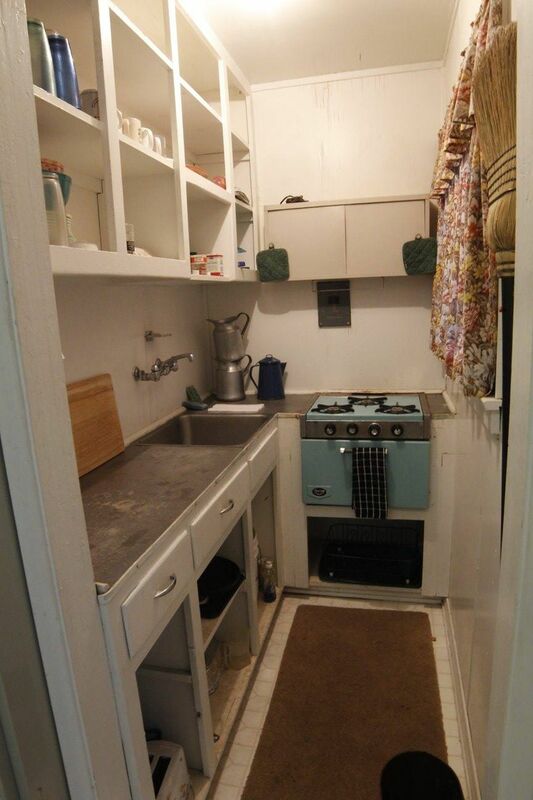 It has its own bathroom and kitchenette, with a propane refrigerator. 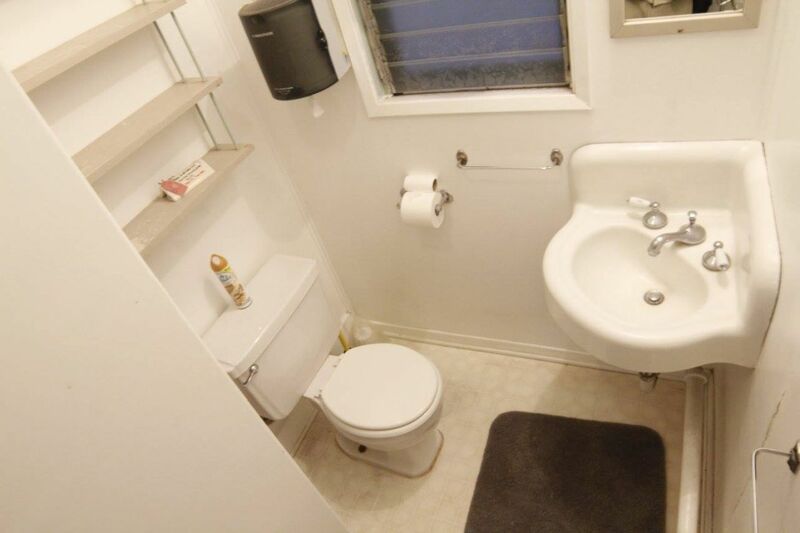 All dishes, utensils and cooking items are provided. 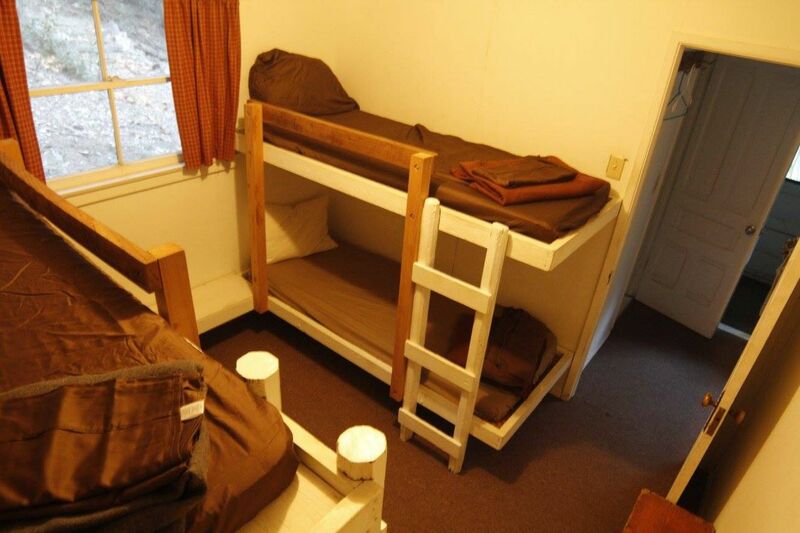 There are two bedrooms, one with a double bed and one with two pair of bunk beds, giving the cabin a sleeping capacity of six. 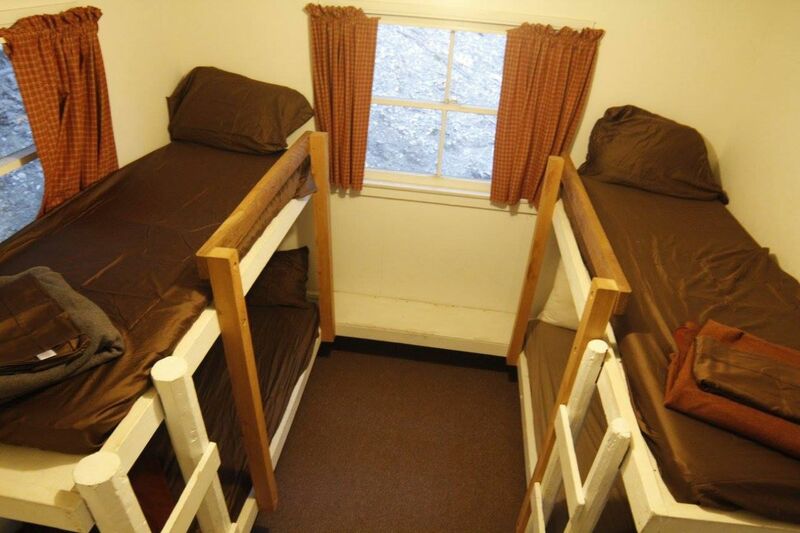 The beds come with sheets, blankets, and pillows so sleeping bags are not needed. 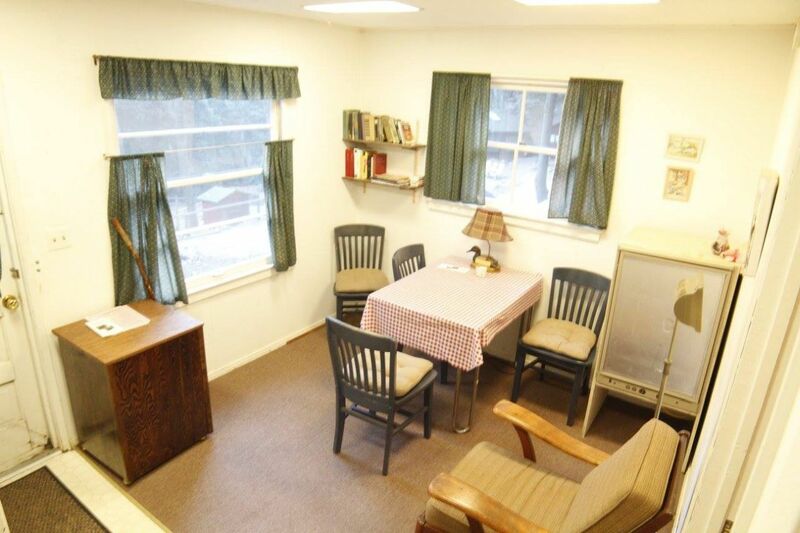 The front room has seating and a table with chairs. 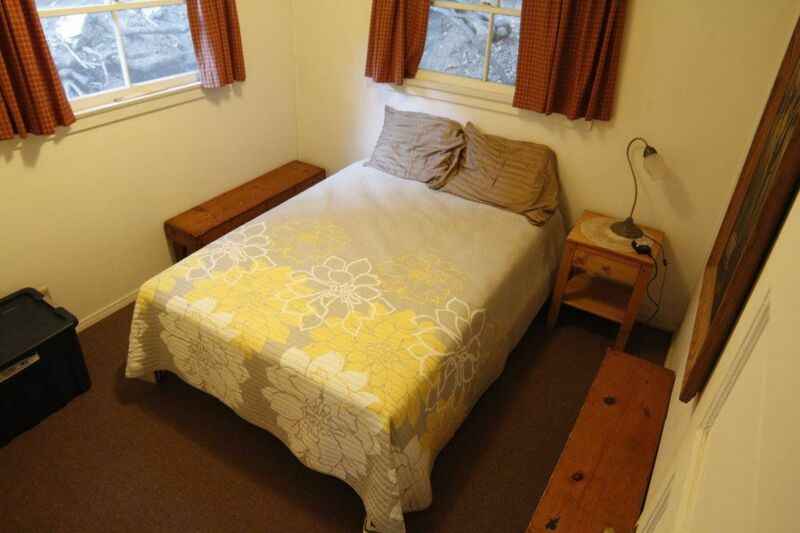 This cabin sits among lush beds of periwinkle, and has ample flat space around it with a private picnic table. 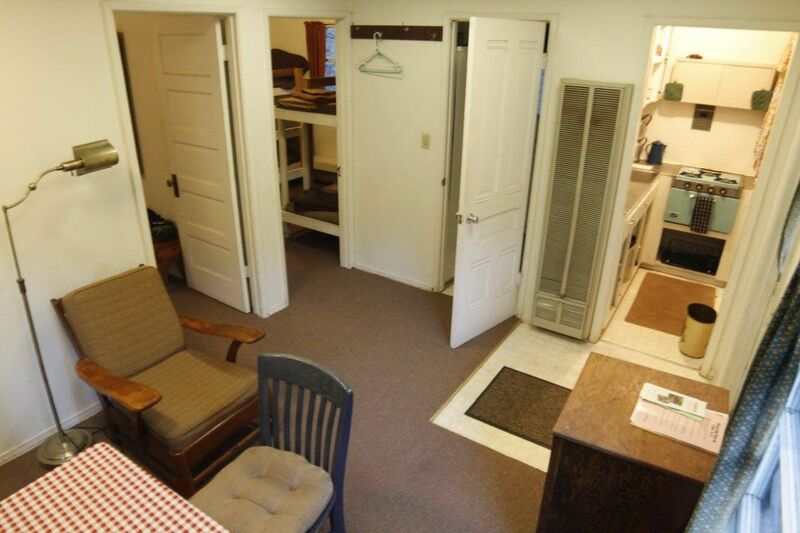 BBQs are available on site. 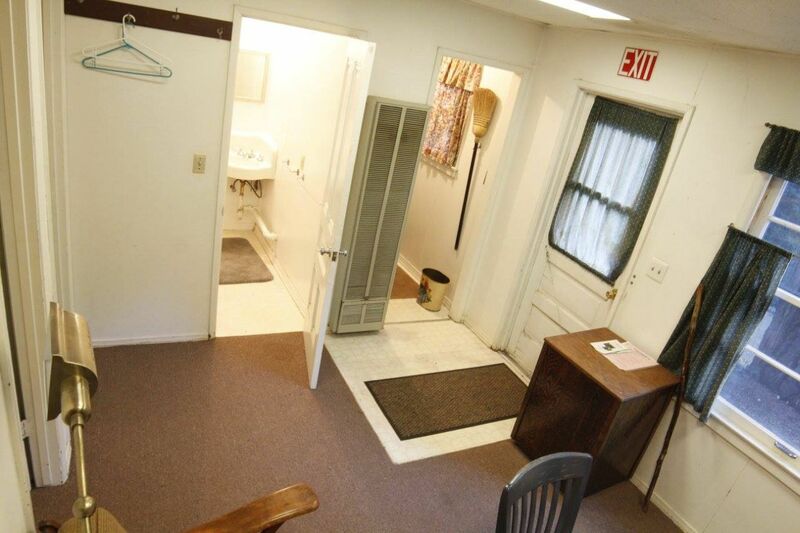 Nearby is the game courts, which can be set up for badminton, volleyball or croquet. 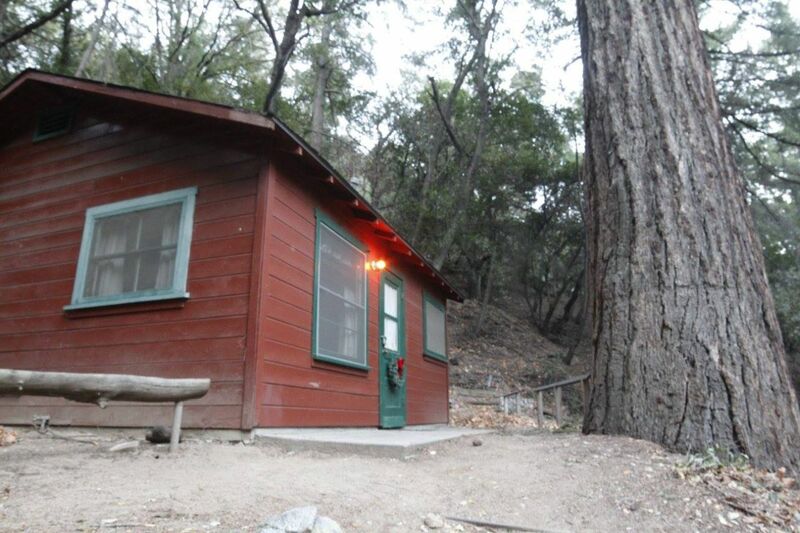 Guests of the Retreat Cabin have access to Sturtevant Lodge for the fireplace (wood provided), piano and games. 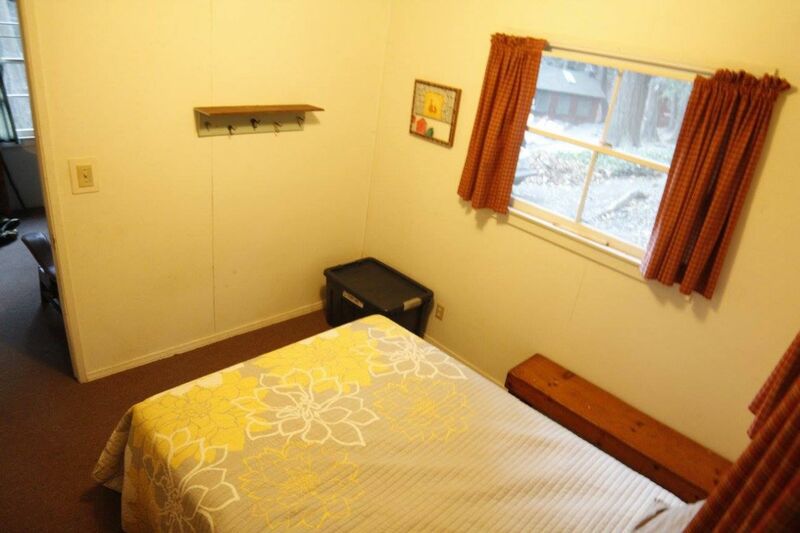 This cabin is ideal for extended stays and family getaways. 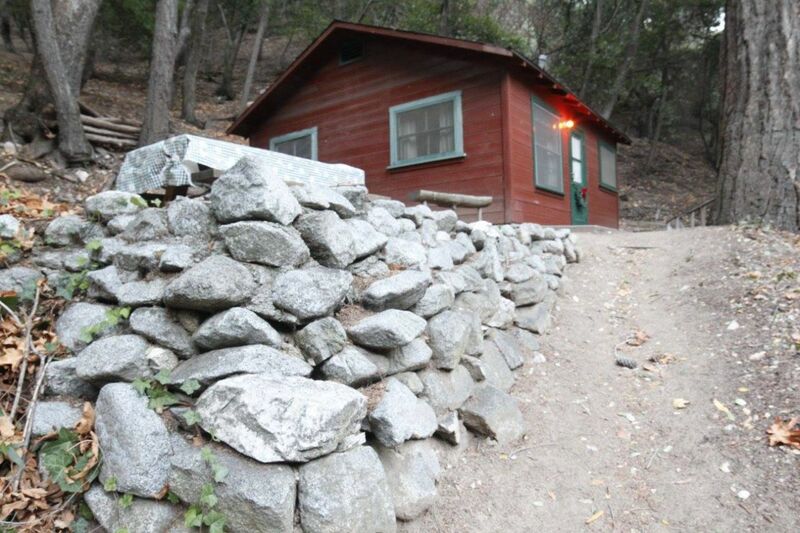 It has also been used as a home base for wildlife studies and as a cure for writer’s block.